You are here: Home » Games » FIFA 15 » Happy New 2015 | FIFA 15 Online and Offline Tournaments Incoming! We would like to wish all our fans and followers a very Happy New 2015 and we really look forward to what 2015 holds for us all FIFA wise! 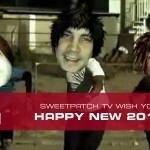 To help you celebrate enjoy our annual dance off video to put a smile on your face. 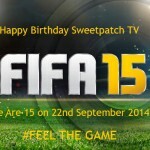 Then check out our upcoming FIFA 15 Online and Offline Tournaments news! 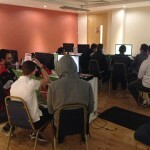 FIFA 15 Online and Offline Tournaments Incoming! After a quiet year in 2014, we have worked hard to put together some awesome FIFA activity for you during 2015 with regular online and offline events, including the return of the very popular FIFA Masters Series, on both Xbox One and PS4! Much more news on all of this very soon. Have a fantastic 2015 and we hope you spend soe of your FIFA 15 time with us online and at live events in the UK.